Former Arsenal winger Robert Pires believes his old club will finish in the Premier League’s top four and win the Europa League under Unai Emery. The Gunners are occupying that coveted fourth spot in the league with eight games of the season remaining, two points clear of Manchester United and three ahead of Chelsea. 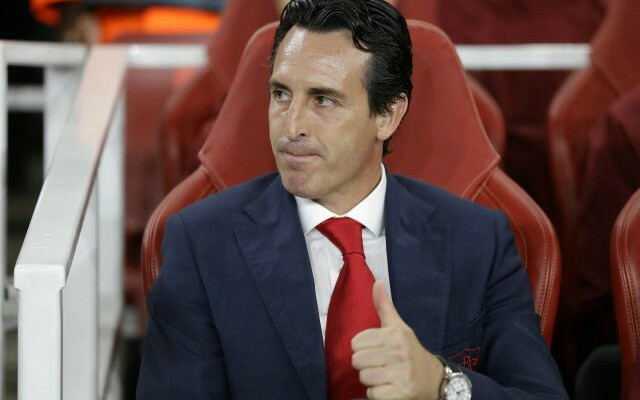 Emery’s men are also through to the quarterfinals of the Europa League, with a tough two-legged tie against Serie A giants Napoli on the horizon in April. The Spanish boss has fared reasonably well in his first campaign at the Emirates Stadium, but it will be ultimately judged as a failure if he fails to secure qualification for next season’s Champions League. “I think Unai Emery is a good manager, he’s won some titles with Sevilla, with Paris Saint-Germain,” Pires told ESPN. “For the end of the season, he has two targets: to reach the top four and – why not – to win the Europa League competition. “That’s why Arsenal are in a very good way and that’s why I’m very confident and very positive always when I talk about Arsenal. 1 Comment on "‘I think he is a good manager,’ – Arsenal hero gives his verdict on Unai Emery and makes shock claim"